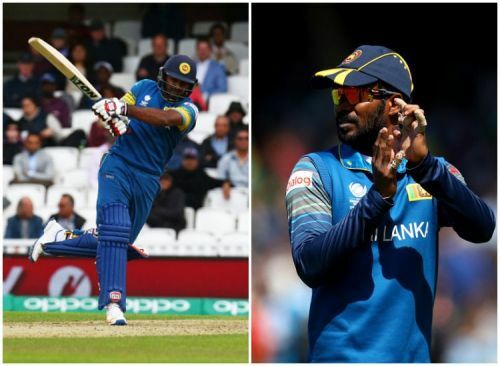 According to reports from Cricbuzz, Sri Lanka's limited-overs captain Upul Tharanga is unwilling to tour Pakistan for the third T20I in Lahore. Citing security concerns, the left-hander has reportedly pulled out of the final match and consequently ruled himself out of contention for the entire T20I series. Sri Lanka Cricket (SLC) is looking to select one squad to encompass the first two T20Is in UAE as well as the final game in Pakistan. With the vast majority of the regular players remaining reluctant to take the short trip to Lahore, the board could send a depleted squad for the series. As a result, wicket-keeper batsman Kusal Perera has risen as the front-runner to lead Sri Lanka in all three T20Is. The 27-year old is still recuperating from the hamstring injury that he had picked up during the ICC Champions Trophy match against India in June. If he manages to clear an MRI scan, the swashbuckling southpaw is likely to become the ninth captain to lead Sri Lanka in the shortest format of the game. Tharanga was part of the Sri Lankan ODI squad which toured Pakistan in 2009. Since he did not feature in the Test team, the opener escaped from the ghastly terror attack carried out by masked gunmen. Among currently active cricketers, fast bowler Suranga Lakmal and middle-order batsman Chamara Kapugedara were inside the team bus which came under attack from Lashkar-e-Jhangvi terrorists en route to the Gaddafi Stadium. While Lakmal (who had suffered shrapnel injuries in 2009) has categorically refused to return to Pakistan, Kapugedara is in talks with the team management for featuring in the third T20I at Lahore. Both players are part of the ODI team which is currently taking part in a 5-match series in UAE. From the 15-man ODI squad, only three Sri Lankan players have agreed in principle to tour Pakistan. Thisara Perera, who toured Lahore with the World XI team recently, is understood to be one of the few regulars willing to board the plane to Pakistan. It is pertinent to note that as many as 40 centrally contracted cricketers have signed a letter expressing their combined reluctance to return to the scene of the terror attack. However, SLC is reportedly in talks with most of those players in an attempt to soften their stance. Considering the delicateness of the situation, Sri Lanka are likely to end up sending a depleted squad for the 3-match T20I series. The final game will be played at the Gaddafi Stadium in Lahore on October 29. Although SLC's earnest efforts in helping cricket return to Pakistan deserve to be commended, the board's stance could create unwanted divisions within the team. Even as the leading players remain firm on their position, some of the second-string cricketers may cause friction within the group by agreeing to board the plane to Lahore.